Revere Middle School on Wednesday hosted a dedication and ribbon-cutting ceremony for a new SPARK Park on campus. The park features a new minimalistic structure, designed by University of Houston graduate architecture students, and provides an attractive entryway to the school that doubles as a covered bus stop. This entry was posted in 2012 bond, District VI - Holly Maria Flynn Vilaseca, News and tagged Revere Middle School, SPARK park on November 21, 2014 by HISD Communications. 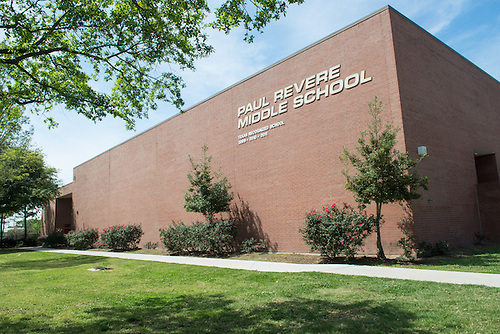 Revere Middle School has been selected to participate in the Middle School Matters Institute, a program launched in February 2011 as part of the Bush Institute’s Education Reform Initiative in partnership with the University of Texas at Austin’s Meadows Center for Preventing Educational Risk. This entry was posted in Middle Schools and tagged Middle School Matters Institute, Revere Middle School on May 15, 2013 by HISD Communications.